PROVO, Utah, August 9, 2018 – Family entertainment network BYUtv today announced that it will add new cast members for the hit sketch comedy series “Studio C” at the conclusion of season 9. The original 10 cast members plan to leave Studio C at the end of this season to pursue a new venture. In addition to new cast members, the show will incorporate additional writers for its landmark 10th season. “When we created ‘Studio C,’ we couldn’t have scripted any better its path to success,” said Michael Dunn, managing director of BYUtv. “We believed there was a market for sketch comedy both kids and parents could enjoy together. The founding cast enabled us to prove this concept beyond our expectations, igniting an amazing fan base and market for family comedy. 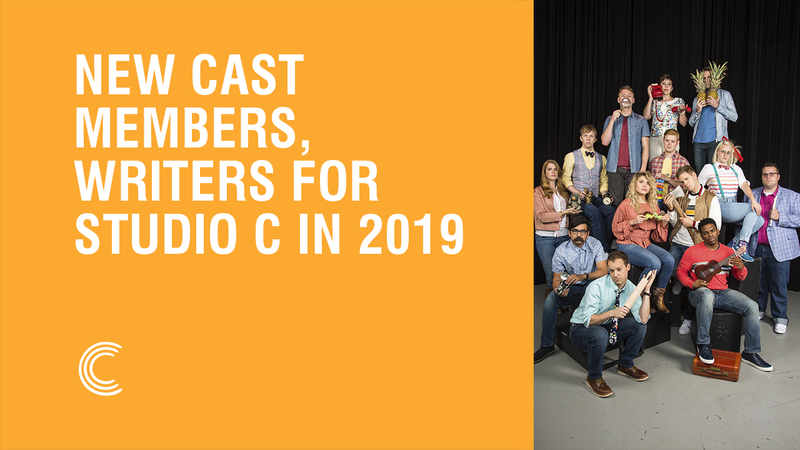 Since it launched in October 2012, “Studio C’s” unique content and comedic style has gained a loyal and diverse national fan base. BYUtv’s YouTube channel views have increased from 500,000 in season 1 to over 1 billion today, with individual sketches being shared across a range of digital platforms. To celebrate the founding cast’s ninth season, BYUtv is bringing “Studio C” to fans live from New York City, hosted by Kenan Thompson, “Saturday Night Live’s” Emmy-nominated fan-favorite and longest-running cast member in the history of the show. On Friday, Aug. 24, the entire cast is performing live in NYC for the first time ever at Manhattan Center’s Hammerstein Ballroom in “Studio C – Live from NYC” at 6:30 p.m. and 9:30 p.m. ET. In addition to his hosting duties, Thompson will join the cast in hilarious original sketches that will air as the season 9 premiere on Monday, Sept. 10 at 9 p.m. ET/7 p.m. MT. The ticket sale proceeds from this event will benefit Make-A-Wish Metro New York, the organization that creates life-changing wishes for children with critical illnesses. For more information about casting and writing for “Studio C” season 10 visit BYUtv.org/studiocsearch.